BANGALORE: Indian internet users can expect YouTube videos to load faster and Google to throw up search results quicker, thanks to the US-based company's data centre in Asia going operational this year. Work on these centres - Singapore, Taiwan and Hong Kong - began in 2011. While the Singapore facility is expected to be completed in early 2013, the Taiwan one is scheduled to be up and running by the second half. Google, which is spending about $300 million (about Rs 1,600 crore now) on the centres, has not yet given a clear timeframe for completing the Hong Kong facility. "Internet connectivity speed in India is not very high. These data centres will be crucial to this market due to its proximity," said Lalitesh Katragadda, country head, India Products at Google. The proximity of the data centres could result in Google services becoming 30% faster, according to Raj Gopal AS, managing director at Bangalore-based NxtGen Datacenter & Cloud Services. Google, which began to scout for suitable locations in Asia in 2007, considered sites in Malaysia, Japan, South Korea, India and Vietnam. Outside Asia, Google has seven data centres in the US, and one each in Finland, Belgium and Ireland. Katragadda blamed the country's hot weather for not choosing India as a location. Google, which until recently has been extremely secretive about its data centre locations, has now become more open to discussing details. Typically, countries located close to data centres enjoy faster access to data on the internet. According to a report from web-based content delivery firm Akamai Technologies, India is ranked 112th globally in internet speed. Google's Katragadda acknowledged that some Google services such as its video sharing website YouTube and social networking service Google Hangout cannot be accessed at optimal speeds now. With the new centres, time taken to access these services will reduce dramatically. He hoped this will result in increased adoption of Google services. India is one of the largest markets for Google, with over 100 million users. 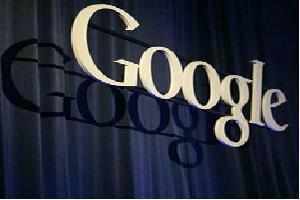 Google enjoys a share of over 95% of India's internet search market, according to research firm StatCounter. Over the next three years, Google expects 500 million internet users from emerging markets to come online as against just about 15 million from the United States. According to web analytics firm ComScore, an average Indian user spends about 2.5 hours every day on Google websites, including Gmail, Google+, YouTube etc. YouTube, which has 35 million users in India, accounted for the highest share of time spent on any Google property in 2011. YouTube videos account for close to 50% of all online videos watched in India. "More people from India are coming online every day and this is an important market as Google looks to bring the next one billion online," Katragadda added. "We plan to invest disproportionately in India in the coming months and years."